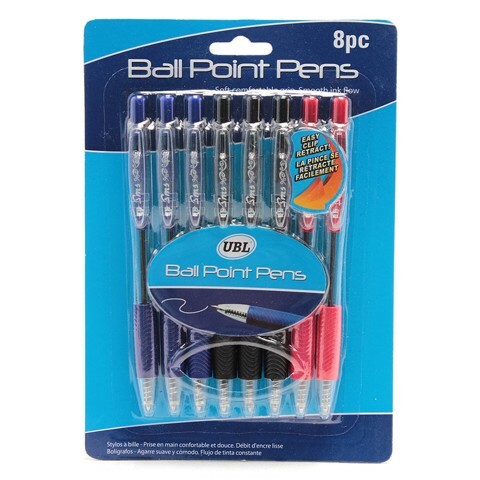 Pens Ball Point W/Soft Grip 8Pk. 13.8cm. 3 x Blue | 3 x Black | 2 x Red . Plastic l Non Toxic Ink. 0 Packaging: Blister Card with Diecut.